Q: I had liposuction done by an expert but I am unhappy as there is a large lump in one area and there is an indented area near it. What should I do? A: You can go back to your surgeon, and they probably will do focal liposuction in the raised area and fat injections in the area which sinks in. If I had liposuction two weeks ago, why doesn’t it look like I had anything done now? Swelling always occurs after liposuction and that blunts the eventual good result from being seen right away. Wear the compression garment and be patient for a month to six weeks as you will see the retraction and tightening occur usually over that time. Q: I had liposuction on my abdomen a few weeks ago and my left thigh is very sensitive. Sometimes even if clothing rubs over it, it hurts. Will this go away? A: You should check with your surgeon, but this sensory hypersensitivity is not unheard of, but is not very common. Antiinflammatory agents may help reduce swelling around a sensory nerve sheath and may reduce the symptoms. This is not to indicate that a nerve itself was damaged. In fact, the act of liposuction uses a blunt cannula so the nerve would be hard to injure, but a thin nerve twig may be rubbed up against or just pulled from the collagen fibers that are being treated by the liposuction and the nerve may then send signals of pain to the individual. Give it time, rest and ask your surgeon about the anti-inflammatory agents. Q: I had neck liposuction but my skin looks too thin now! What can be done to improve the appearance? A: You would need a consultaion, but there is a possibility that fat injections could help the appearance. Q: If I have an indentation under my buttock after liposuction, what should I do? A: See your surgeon and see what can be done to improve the situation. Usually fat injections helps smoothen the area. Q: I had liposuction with laser and now I’m lumpy. It’s been three months, what can be done to make it better? A: Lumps can occur after conventional liposuction, or any liposuction, whether laser-assisted Smart Lipo or other types. The important part of SmartLipo is the manual cannula removal of the fat. It is a sculpting procedure and if not all the fat is removed in the same fashion, some residual areas may look higher than the others. These areas may improve over six months after surgery and can be focally treated with liposuction and a very small cannula. Q: Can an 18 year old have liposuction? A: The age is not the determining factor. It is the indication for surgery and the health of the patient. Liposuction is not a replacement for diet and exercise and as long as the patient has realistic expectations, takes good care of their health with diet and exercise, is undergoing nutritional counseling if they can’t take their weight off, then they may be a candidate for the surgery. Q: Should I have my liposuction now if I’m going on a vacation to an island in six weeks? A: You might find yourself not being comfortable to wear a skimpy bathing suit that soon after surgery. The insertion sites might be temporarily discolored for several months, or longer, after liposuction. You might have some areas that are still slightly swollen after surgery and it is a better idea to wait until after your vacation to have it done. Q: For twenty years+ I have weighed 170 pounds and I am 5 feet 7 inches tall. I want so much to reduce my lower belly pouch. Can I have liposuction? A: You would need to be examined to see if this pouch is from the muscle wall bowing forward from being loose after child bearing or large weight gain, and if there is enough fat above the muscle wall to be removed by liposuction. If there is a significant amount of fat to remove, then you would be at risk of putting this fat back on unless you start to eat a better diet and exercise more. Otherwise, your calories, even if the same after liposuction as they were before liposuction, would have to be stored somewhere on your body, as fat. It might go partially back in the lower belly and the rest distributed in other areas. If it is not too much fat, then you might retain a good result without much change, but it is always wise to undergo liposuction in the best of shape and health. Q: If I am 40 pounds overweight but just want liposuction to remove the lower belly fat that ruins my looks in clothing, can this be done? A: Liposuction is not a replacement for diet and exercise but if you have tried for years and can not reduce that bulge, especially if you have noted it to be a family trait, then liposuction may help you, but the weight can come right back on if you are not careful with your diet and if you don’t exercise. 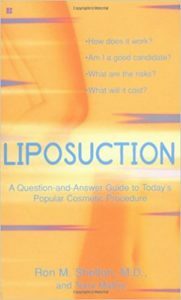 Q: If I have liposuction by SmartLipo do I have to have liposuction, or is the laser enough? A: The newest devices are designed to use the laser first and conventional tumescent liposuction after to extract the triglycerides and fats that have been liberated from the fat cells by the laser energy. If the triglycerides are left behind for the body to metabolize, then there is a theoretical risk of safety concerns. The most important part of SmartLipo is still the liposuction and not the laser. The surgeon should have a good knowledge of liposuction and how to conservatively and safely remove the fat with liposuction. Q: If my compression garment is cutting into my skin after liposuction, what should I do? A: Order a new one immediately and use the better-fitting item. See your surgeon if you have any questions. Q: I have sciatica and wonder if I can have liposuction? A: The sciatica would probably only worsen as a result of lying in a position that is uncomfortable for your back rather than the procedure causing a problem itself. Q: I had my last baby one year ago and am no longer breast feeding. I have bad stretch marks on my tummy but want liposuction. Is this a problem? A: If your underlying skin’s elasticity is satisfactory, then you may only need liposuction. However, if the muscle wall is bowing forward because of a looseness of the fascial wall around the muscle, then a tummy tuck may be in order after or before the liposuction. Skin that is so inelastic may be removed with a tummy tuck, but if an abdominoplasty is not indicated, then after liposuction, possibly Thermage or Fraxel may help improve the skin quality. Q: I want liposuction on my saddle bags but I’m so confused on-line between SmartLipo and Tumescent liposuction and Vaser. What would be best for me? A: It’s not the type of liposuction, nor the energy used, but the skill of the doctor, and the artistry of leaving behind the right amount of contoured fat. 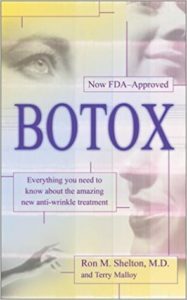 Too much removal is no good and often needs to be corrected by fat injections. You should research the physician more than the technique. Do they have a very good standing in the medical community? Do patients of their’s sing their praise? Q: If I had liposuction two weeks ago on my love handles and they are very very red now, should I be concerned? A: If there is no itching, no pain without touching the area, no heat that you can feel in the skin that’s more than the surrounding skin, no fever, you may only have self-limiting bruising. It’s always better to get reassurance from your surgeon so call your doctor for an evaluation to be sure everything is OK.
Q: Can I have liposuction on the lowest abdominal region if I have had a C-section years ago? A: As long as there is no hernia present, there should be no reason why you couldn’t have liposuction. Of course, there might be an indication for an abdominoplasty (tummy tuck) and the surgeon should make this clear to you before deciding on liposuction as a sole treatment or if it should be followed or preceded by a tummy tuck. Q: I had liposuction two weeks ago and am interested in becoming pregnant. Is that ok? A: If you are not taking any medication at this time related to your surgery, then as long as your primary care doctor states that there is no conflict with your health or daily medication that they prescribed or other medications you take, and it is ok with your surgeon, then there should be no problem. Q: I had liposuction done on my abdomen three days ago and it looked good after surgery and the next day but today it is bigger. Should I be worried? A: Most patients see swelling start around the first or second day after liposuction. This is normal. There are conditions however that might be cause for your physician to know, especially if there is pain in the swollen area that you don’t have elsewhere and if there is reddish coloration. It might be hard for you to distinguish if it is an urgent problem, as it is normal for bruised areas to be tender and red too. Hematomas, seromas and abscesses can create focal swellings and these need to be addressesd by your surgeon. If you are uneasy about your condition it would be best for you to contact your surgeon and discuss your situation. He or she may want you to come in for an examination. Q: If there is an indent after liposuction can this be fixed? A: Usually, after giving the area enough time to heal, such as between three and six months, fat injections can be done to fill in the area(s). Sometimes subcision has to be done to lift the area first, immediately before the fat is introduced. The fat can be easily removed by local anesthesia from a different area and inserted in to the depressed areas. Q: My surgeon did liposuction on my neck and I have an indent. Can this be fixed? A: Usually fat grafts are done for indents but the surgeon may wish to wait a couple or several months after surgery to perform the result. Q: My friend had liposuction out of state and called me to say she has pockets of fluid that are being drained by her surgeon. It’s been three weeks since her surgery. Is this normal? A: Seromas are a possible but infrequent risk of liposuction and drainage is a standard treatment. The surgeon may check that there is no infection and continued compression with the garments and drainage is important. 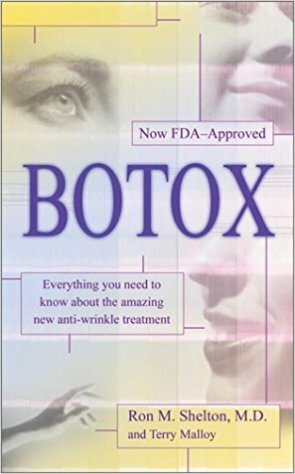 Usually this settles down without more aggressive treatment but may require other treatments. Q: Does SmartLipo guarantee me perfect skin after liposuction? A: No liposuction can guarantee perfect skin. Dents and contour irregularities can occur regardless of any technique used in liposuction, such as: tumescent liposuction, ultrasonic liposuction, water jet, Smart Lipo, etc. The laser-assisted liposuction used in SmartLipo can improve some tightness and contracture of the dermis and subcutaneous tissues but it won’t make cellulite-like skin, or stretch marks, or indents that exist before the liposuction look better. Q: If I want to have liposuction on my thighs, can leg vein treatments be done after? A: Yes, in fact, it is a better order in which to have these procedures done. Do the leg veins after liposuction so there is a theoretical better chance of having the leg veins resolve after the injections. Otherwise, there would be a lot of backward pressure on the leg veins which are trying to close off after the vein treatments, and this pressure could force them to open their walls. Q: Why if I had liposuction last year, am I putting the weight back on now? A: Liposuction is being done if you have localized areas of fat that are being stored because the amount of energy your body expends each day is less than the amount of calories you take in by eating. The excess energy consumed is converted to fat. Therefore, you must reduce the amount of calories you consume after liposuction compared with before and, if possible, increase your exercise regimen. Otherwise, if you do everything the same as before, your body will have no choice but to store the excess calories as fat and store it somewhere. Q: My friend had liposuction and one of the insertion sites is quite depressed and it’s been four weeks. Is this permanent? A: Quite probably the depression won’t fill in. It might be from the frictional trauma of the cannula or too much aspiration of fat near the insertion site as the cannula came out. This is seen, not uncommonly, but most depressions are slight. More significant ones can be treated by scar revision, but there always is some trace of a scar with all insertion sites, regardless of not having a depression. Q: If I have liposuction on my tummy will I be left with new folds? A: Indents, depressions, ripples and folds can occur in some areas during liposuction. This is a possible side effect and can be treated by fat injections, although the result may not be perfect. That’s why Smart Lipo or any type of lipo is not the important variable, it is the surgeon’s sculpting thoroughness and conservative attitude that can give you the great result you desire.